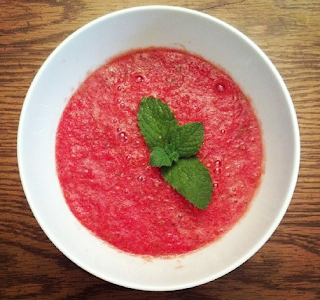 Here's a refreshing cold soup that's easy to make and a huge hit with the kids - watermelon soup! Refrigerate for 2 or more hours - enjoy! Yum! I've made cantaloupe soup before but never thought of watermelon.